This Pat Bagley cartoon appears in The Salt Lake Tribune on Wednesday, July 11, 2018. 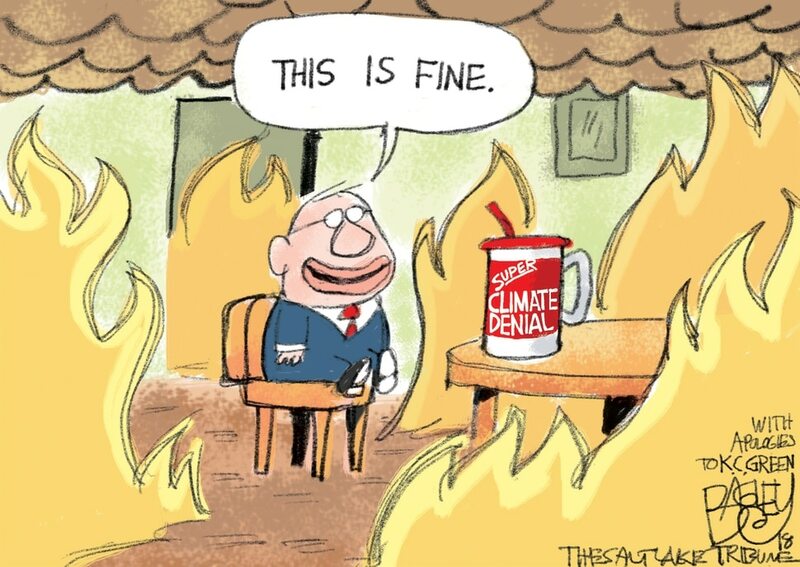 (Pat Bagley | The Salt Lake Tribune) This Pat Bagley cartoon, titled “This is Not Fine,” appears in The Salt Lake Tribune on ... This Pat Bagley cartoon appears in The Salt Lake Tribune on Sunday, July 8, 2018. This Pat Bagley cartoon appears in The Salt Lake Tribune on Friday, July 6, 2018. This Pat Bagley cartoon appears in The Salt Lake Tribune on Wednesday, July 4, 2018. This Pat Bagley cartoon appears in The Salt Lake Tribune on Tuesday, July 3, 2018. (Pat Bagley | The Salt Lake Tribune) This Pat Bagley cartoon, titled “A Murder of Crows,” appears in The Salt Lake Tribune on... (Pat Bagley | The Salt Lake Tribune) This Pat Bagley cartoon appears in The Salt Lake Tribune on Thursday, June 28, 2018. This Pat Bagley cartoon appears in The Salt Lake Tribune on Wednesday, June 27, 2018. This Pat Bagley cartoon appears in The Salt Lake Tribune on Friday, June 22, 2018. This Pat Bagley cartoon appears in The Salt Lake Tribune on Wednesday, July 11, 2018. (Pat Bagley | The Salt Lake Tribune) This Pat Bagley cartoon, titled “This is Not Fine,” appears in The Salt Lake Tribune on Tuesday, July 10, 2018. This Pat Bagley cartoon appears in The Salt Lake Tribune on Sunday, July 8, 2018. This Pat Bagley cartoon appears in The Salt Lake Tribune on Friday, July 6, 2018. This Pat Bagley cartoon appears in The Salt Lake Tribune on Wednesday, July 4, 2018. This Pat Bagley cartoon appears in The Salt Lake Tribune on Tuesday, July 3, 2018. 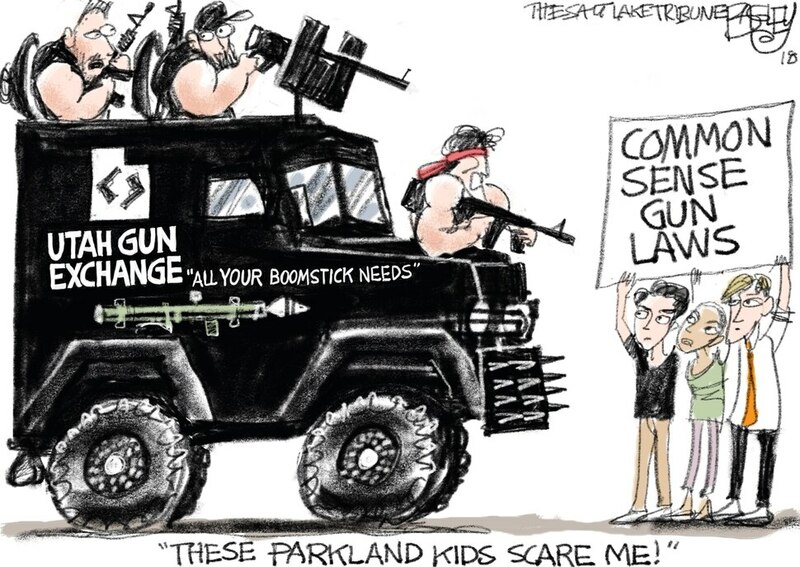 (Pat Bagley | The Salt Lake Tribune) This Pat Bagley cartoon, titled “A Murder of Crows,” appears in The Salt Lake Tribune on Sunday, July 1, 2018. 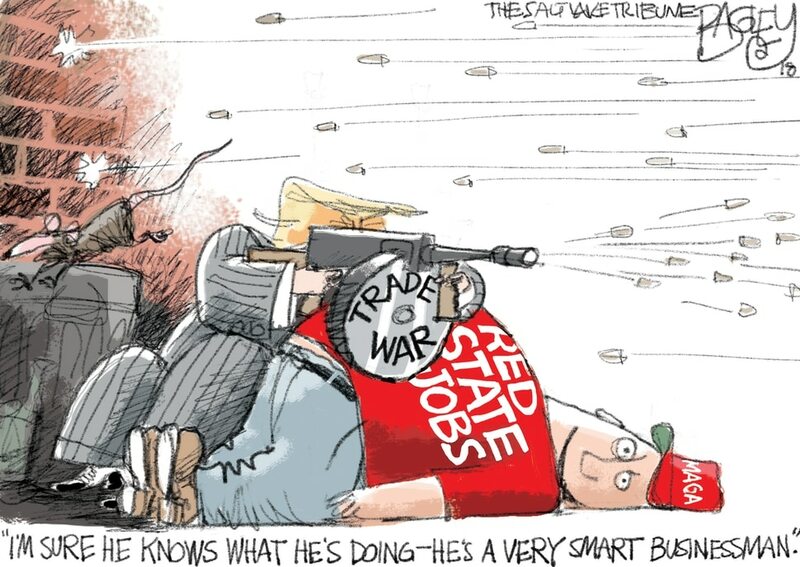 (Pat Bagley | The Salt Lake Tribune) This Pat Bagley cartoon appears in The Salt Lake Tribune on Thursday, June 28, 2018. This Pat Bagley cartoon appears in The Salt Lake Tribune on Wednesday, June 27, 2018. This Pat Bagley cartoon appears in The Salt Lake Tribune on Friday, June 22, 2018.